Sri Lanka is an exotic destination located close to the southern coast of India. This country might only be 25,000 square miles in size but there are so many incredible volunteer opportunities where you can help communities, the environment and wildlife. 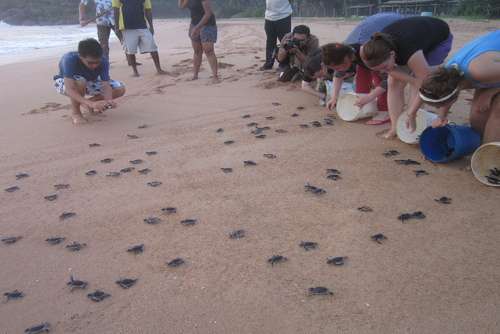 Find rewarding volunteering projects in Sri Lanka including structured, free and low cost paid programs. 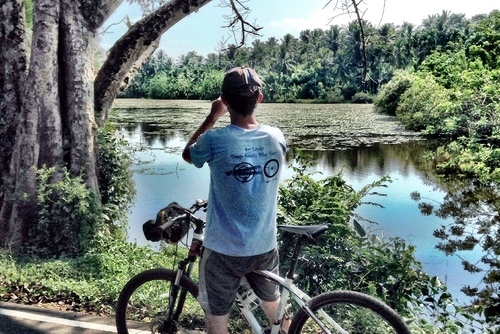 We highly recommend planning a trip to Sri Lanka, this country is spectacular and there are so many ways to give back. You will get to visit ancient temples and learn about the culture and tradition of the people, visit beautiful white sandy beaches or explore rain forests. 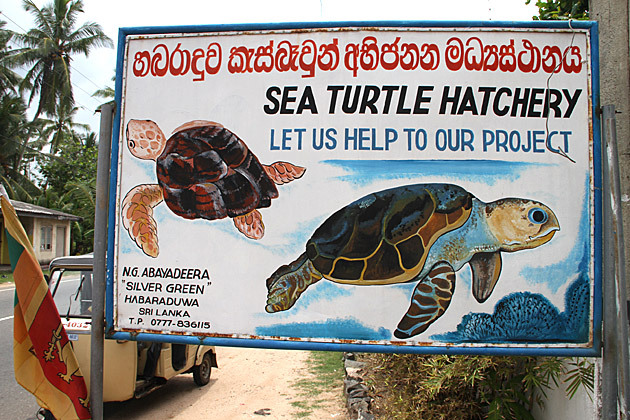 Sri Lanka may be a small country in comparison with other Asia volunteer destinations but there are lots of worthwhile projects including helping sea turtles or joining summer and group programs. Large international charities and NGO's have been working for decades to address key issues in the country for example alleviating poverty, helping people to have a brighter future and also improving facilities and living conditions. Most volunteer programs are located in the capital city of Colombo, this is a large city with a mix of new and old. You can also find placements throughout the country in places like Kandy, Dehiwala-Mount Lavinia and Ambalangoda. There are also projects in the popular little fishing village of Negombo which has spectacular beaches and also in Pusseleya close to the Wasgamuwa National Park which is about 7 hour drive from Colombo. This is a really beautiful area to be based. You might also like to combine experiences by going to volunteer in India too. Sri Lanka is a naturally beautiful country with biodiversity and exotic animals but unfortunately wildlife in this country is under threat from habitat loss and poachers. There are lots of wildlife orphanages in Sri Lanka which care for abused, injured and rescued wildlife and there is a need for new people to help every month. 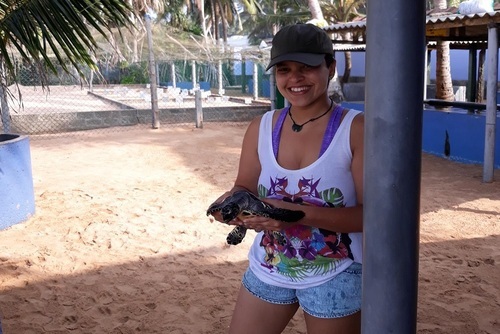 Our top recommended program in Sri Lanka is volunteering with elephants and sea turtles where you can really make a difference to conservation efforts. 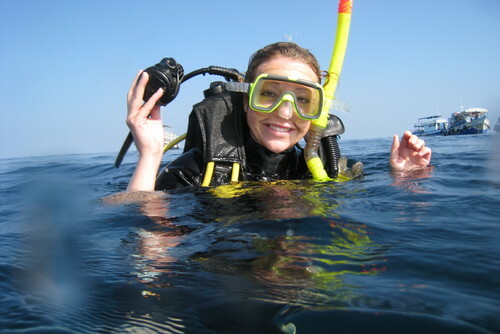 There are also projects on the spectacular coast where you will live close to the sea and get to join teams monitoring, cleaning and helping marine animals. 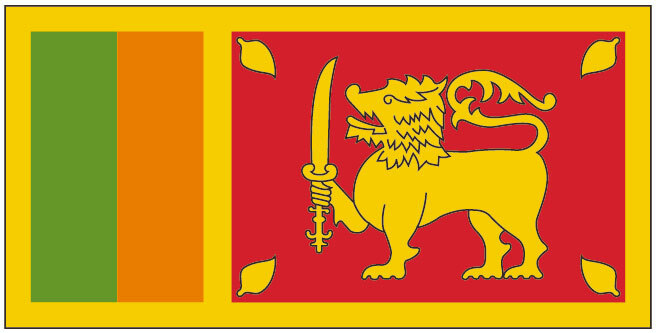 Sri Lanka has a population of around 20 million people and a large number live in poverty. There are NGO's and local charities working to help on the ground in Sri Lanka and they recruit international participants all year round. 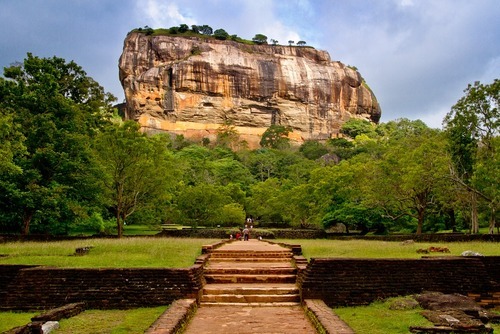 Sri Lanka has had a civil war lasting from 1985 to 2008 but now this destination is very safe to visit. You can play a role in helping this nation develop by working on the ground to improve living conditions and infrastructure. In 2004 a devastating tsunami hit the region and Sri Lanka was badly affected with thousands of people killed and lots of damage was caused to homes and buildings. There are sustainable living projects and also building/construction projects available to join where you can help re-build homes and provide communities with improved living spaces. You will get to play a role in empowering disadvantaged communities leaving a lasting legacy, some projects work directly with displaced people and also women who have suffered discrimination in the country. You can also help human rights programs in the country with the 3 main ethnic groups - Sinhalese, Moors and Tamil. The civil war which ravaged the country has long finished but there is still tension and persecution still exists in society. Going to teach English in Sri Lanka in very popular, you could spend time helping teaching projects in cities and rural settings, placements can be found at schools or working with elderly people at community development programs. 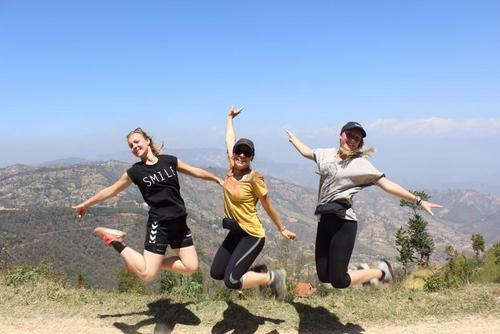 You could take part in an educational based project in the beautiful tropical hills in a rural setting helping local staff to teach English, play games and share art, music and drama to give children and the local community an enjoyable learning experience. You will be able to brighten lives and have a fun time! There are also options to work with local monks - this is an amazing cultural exchange. There are placements for skilled and un-skilled medical volunteers in Sri Lanka, maybe you are training for a career in healthcare or you already work in the profession, or you just want to help ill/sick people. There are projects available for nurses, doctors, dentists and general medical assistants. Around 10% of the population of Sri Lanka are thought to have mental health problems and there is a need for internationals to help train local staff and also work directly with people. You might get to work rehabilitating people or raising awareness surrounding mental health. To apply to volunteer in Sri Lanka most organisations require you to be in good health and aged over 18. Please research all placements as all are different, there are some trips aimed for 16 and 17 year olds, summer programs are very popular. You won't need any previous experience for non skilled placements so don't let this put you off applying. If you apply through a sending agency you might need to pay a joining fee which usually includes accommodation, food, airport pick up and transfers, full pre-departure support, local in-country team support and backup and 24-hr emergency support. 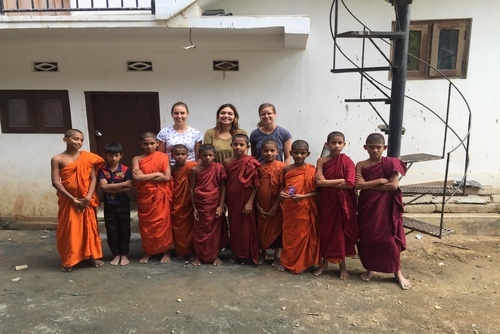 You can apply to volunteer in Sri Lanka on our website today and also placements can be booked in advance for next year. If you need any help arranging a volunteer placement in Sri Lanka please get in touch. There are lots of free and low cost opportunities to volunteer in Sri Lanka with local NGO's and non-profit organisations. You can search these on our 'organisations' tab. Sometimes you will need to make a donation and cover the cost of your meals and accommodation. To get a paid volunteer job in Sri Lanka can be difficult as most full time employment positions go to local staff. If you have ever volunteered in Sri Lanka and would like to write about your experience, review an organisation or share any recommendations please contact us. 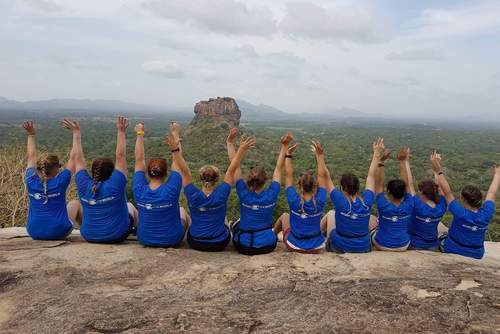 "The elephant nature project in Sri Lanka is a fantastic project, I was lucky enough to spent a few days with them last year and it was a life changing experience!"